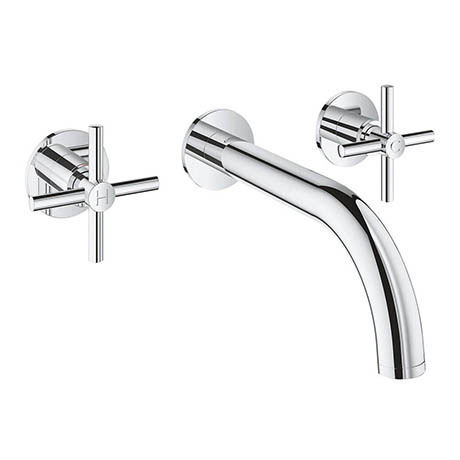 The Grohe Atrio wall mounted 3 hole basin mixer has clean lines, minimal styling and precise, perfect performance. The tap features a twin crosshead handle design offering precise control and a projection of 180mm for the basin spout. It is equipped with GROHE EcoJoy which reduces water consumption by up to 50% without compromising on performance while the GROHE StarLight chrome finish will help keep the basin mixer looking pristine for years to come.